Since 1912, Connecticut's Hosmer Mountain has been bottling a delicious array of lightly carbonated sodas that are not too sweet. Made with micro-filtered, naturally pure water, Hosmer Mountain sodas have been a New England favorite for decades. 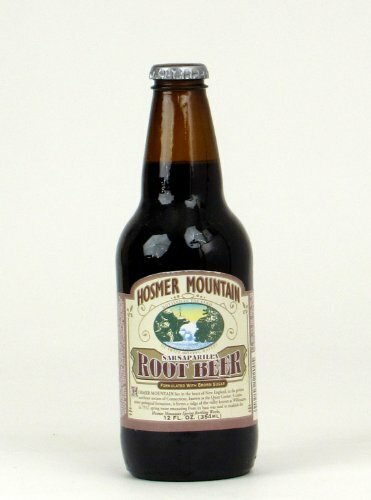 Root Beer is from Hosmer Mountain's Antique line and is made with cane sugar and brown sugar for an award-winning taste (it came in 4th in a national competition). This is a full-bodied drink with a lightly-spiced, old-fashioned flavor we think you will really enjoy. Sweetened with cane sugar, brown sugar.